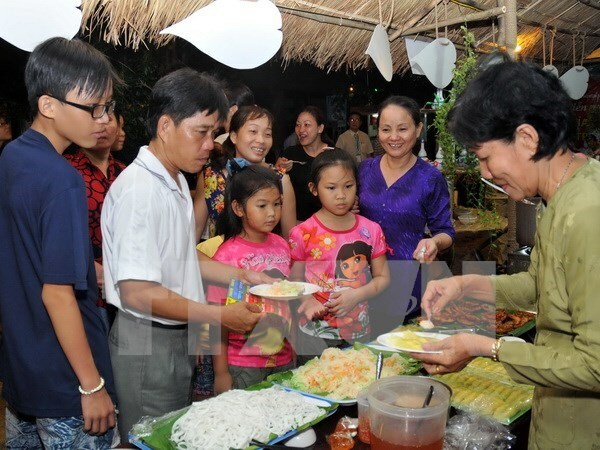 HCM City (VNA) – The 6th Southern Cuisine Festival will take place in Dam Sen Culture Park in Ho Chi Minh City from May 28-June 1 to promote Vietnamese and particularly southern cuisine to both domestic and international visitors. According to Truong Minh Hau from the municipal Department of Tourism, t his year’s festival will feature 50 booths, displaying over 250 signature dishes and beverages from the south and other regions across Vietnam. Other activities will include “Don ca tai tu” (southern folk music) performances, Khmer dances, and traditional games. Visitors will also learn about traditional handicrafts from southern localities. The event will allow exhibitors to show off their skills and creativity in cooking and decorating booths.